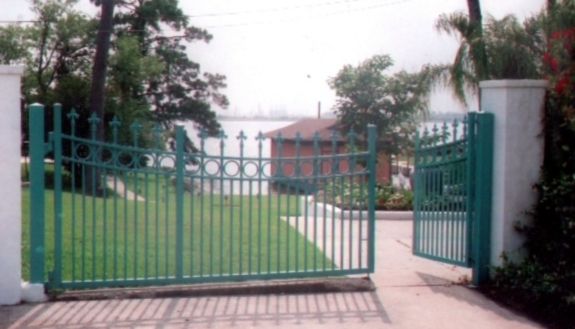 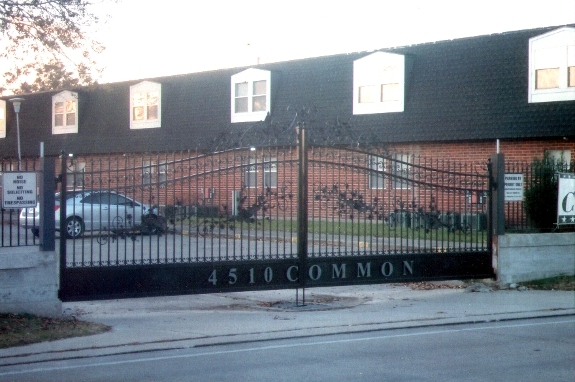 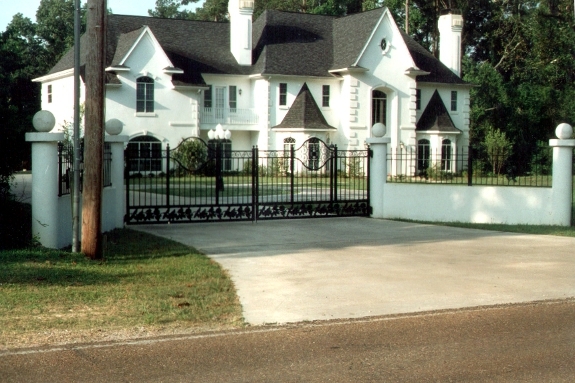 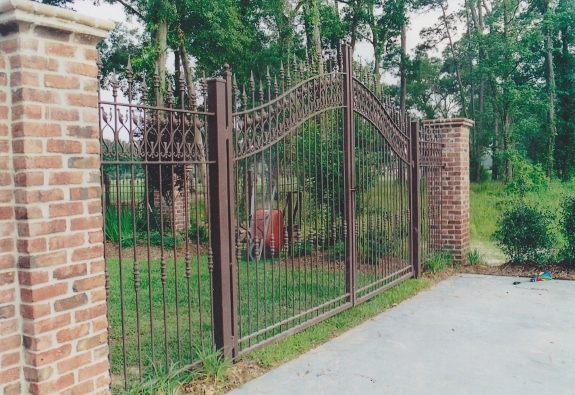 Justin Iron Works builds and installs custom ornamental iron fencing and gates. 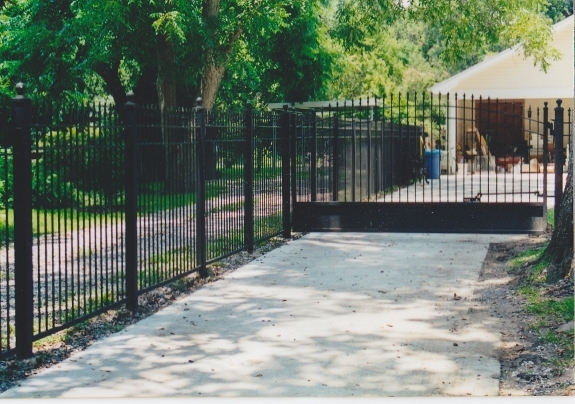 Unlike most of our competitors who use prefabricated materials which limit your choices, Justin Iron Works actually builds according to your specifications. 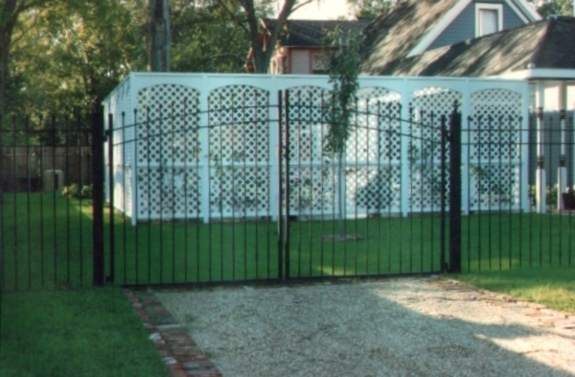 Justin Iron Works custom ornamental iron fencing and gates adds beauty and value to your property while providing your family or business with the piece of mind of wrought iron security. 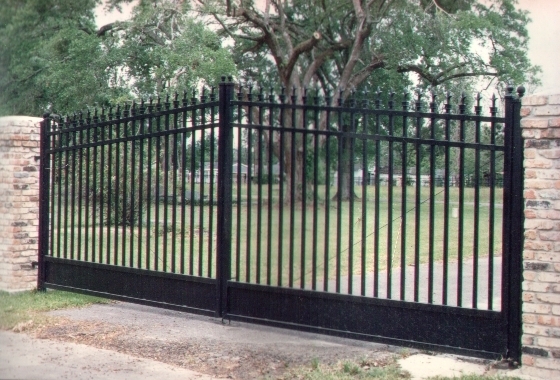 Justin Iron Works also installs premium quality automatic openers on all of our ornamental iron gates. 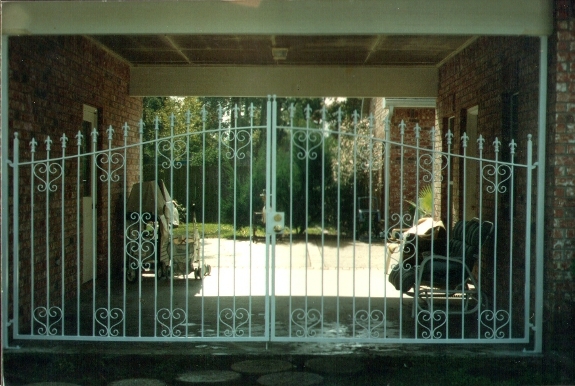 We endeavor to design all of our systems with years of dependable service in mind. 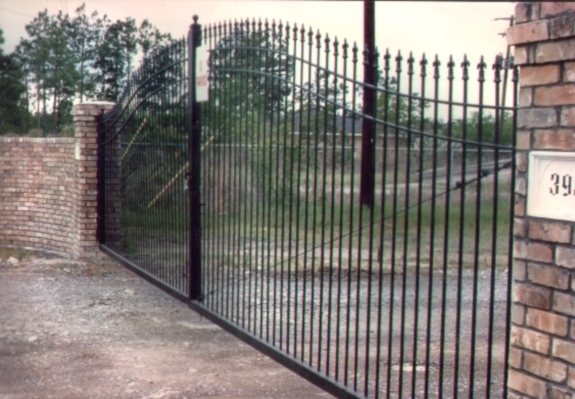 We don't sacrifice quality for profit. 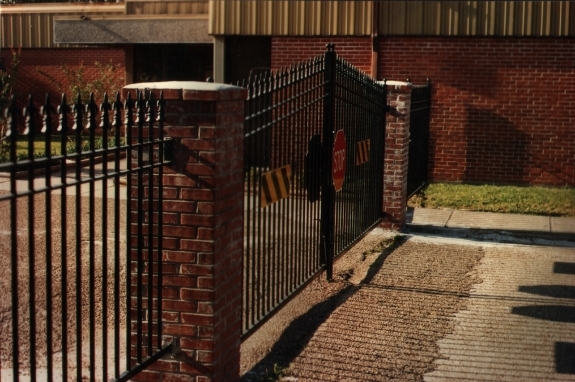 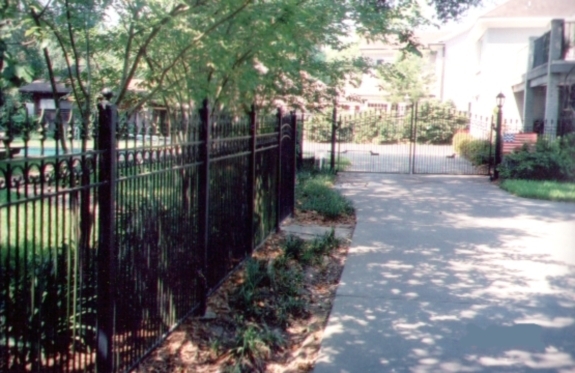 Whether your needs are for residential perimeter fence, pool fence, or commercial applications, Justin Iron Works fencing and gates will provide the strength, beauty, and durability that you expect from virtually maintenance free ornamental iron. 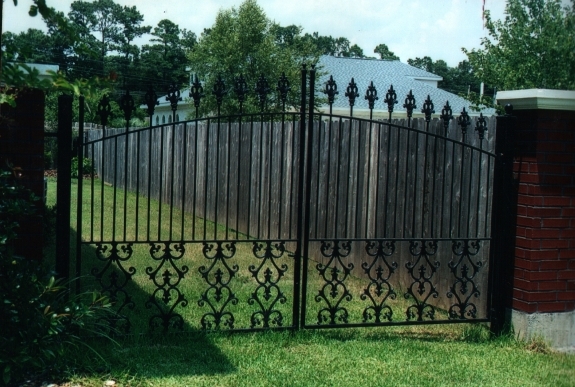 Justin Iron Works has the right fence for any property. 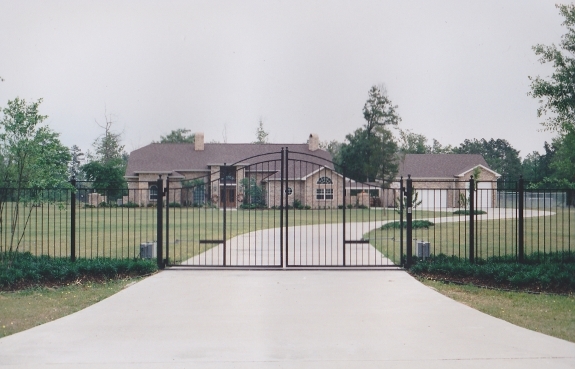 Justin Iron Works also offers a quarterly maintenance contract agreement ensuring that you automated gate opener will continue to operate flawlessly everytime it is used. 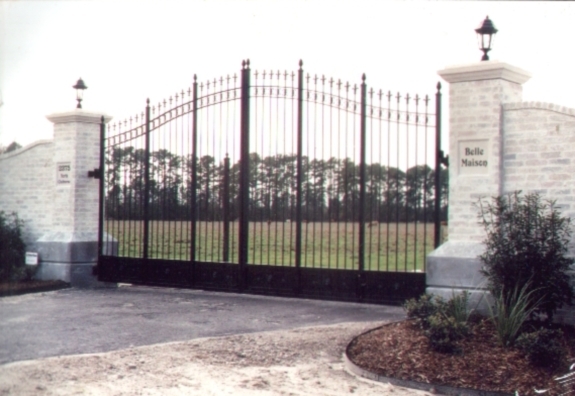 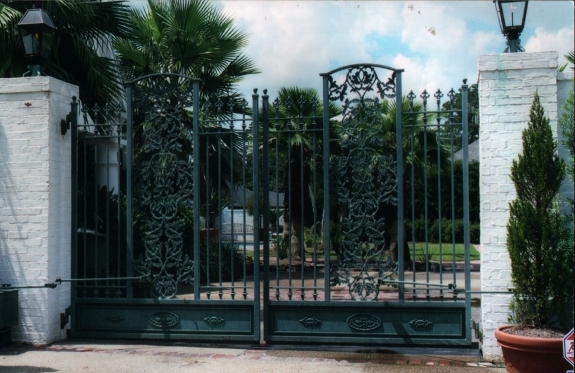 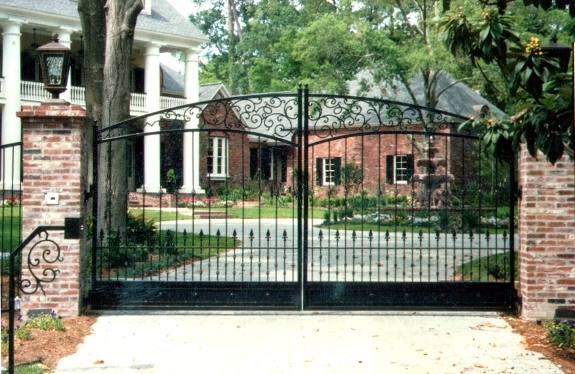 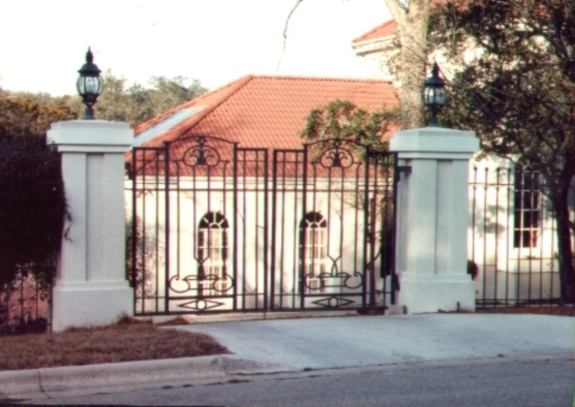 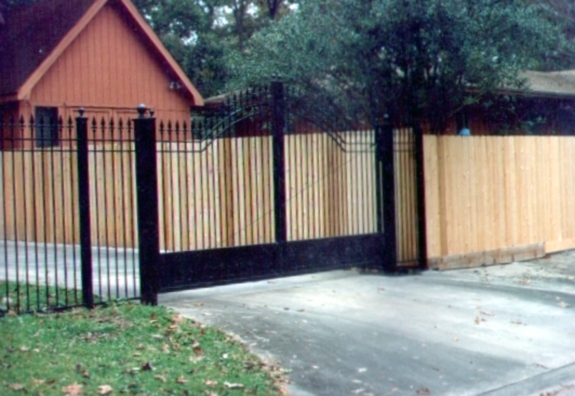 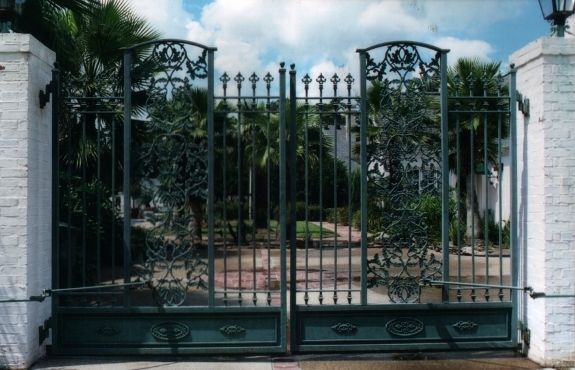 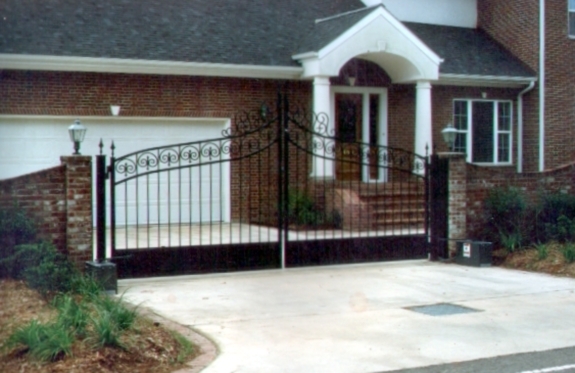 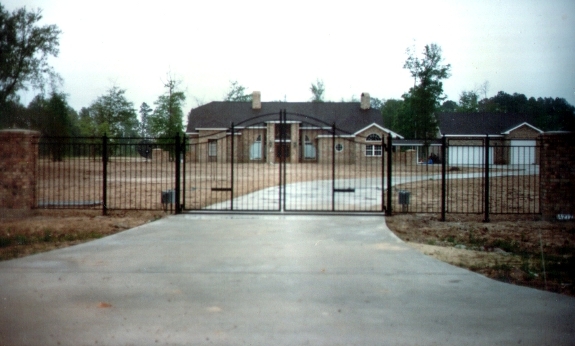 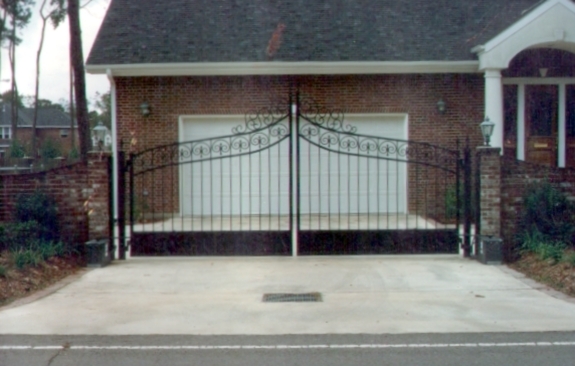 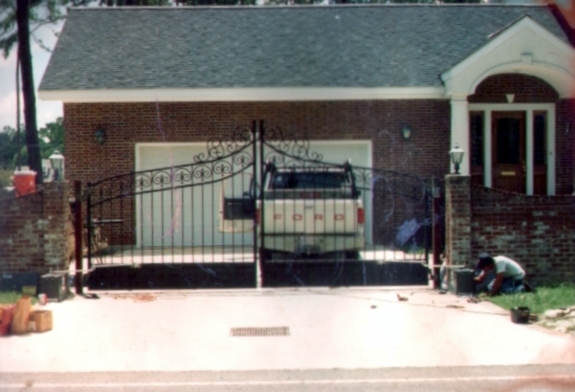 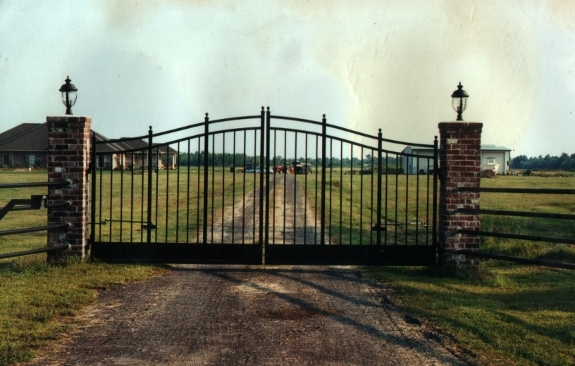 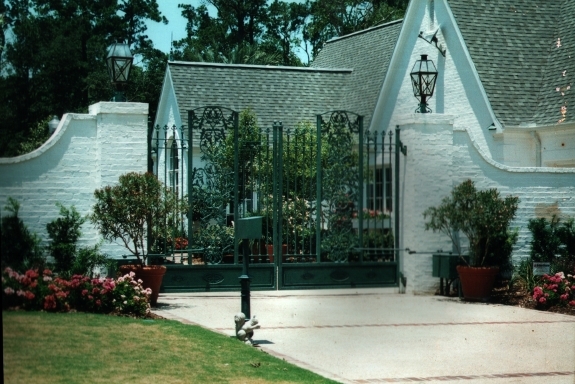 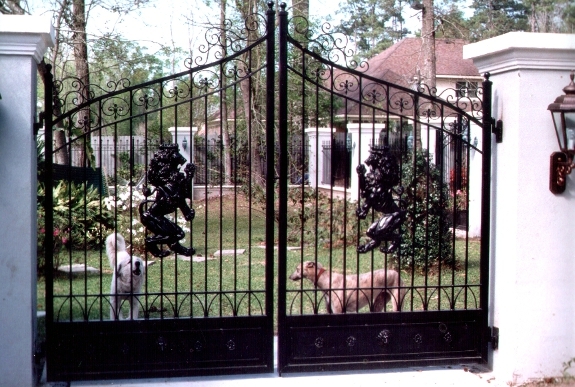 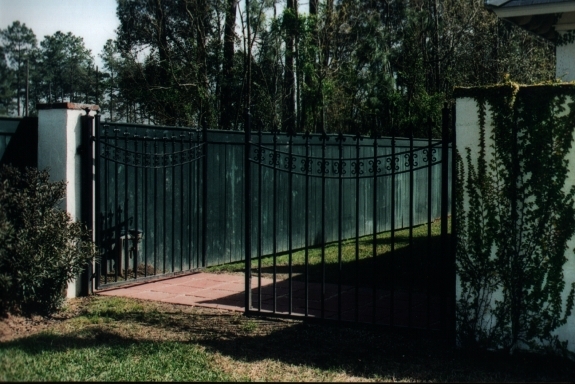 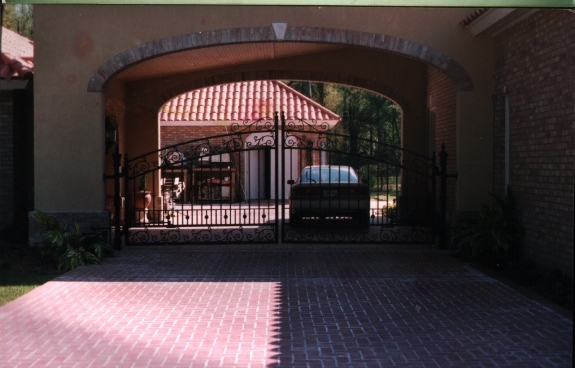 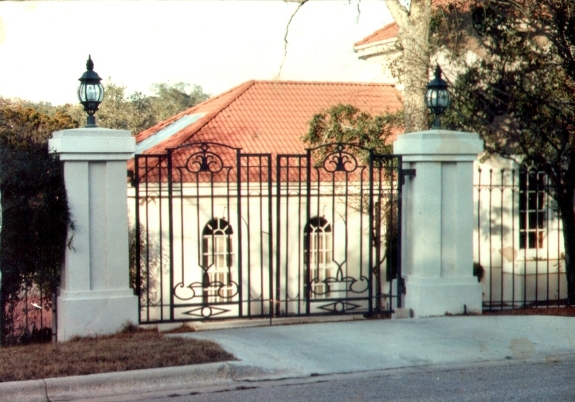 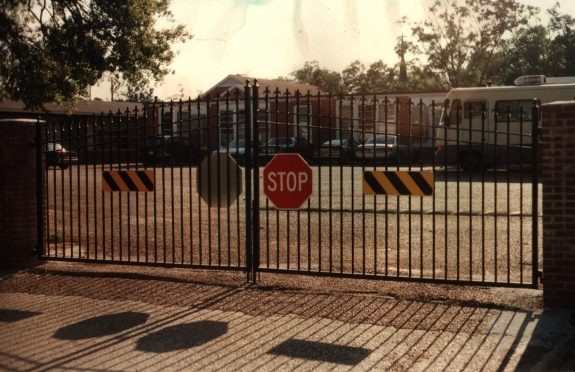 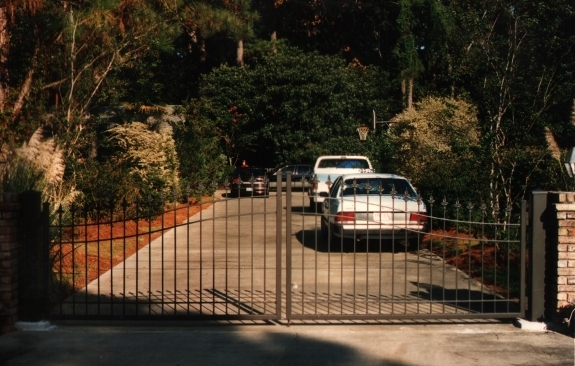 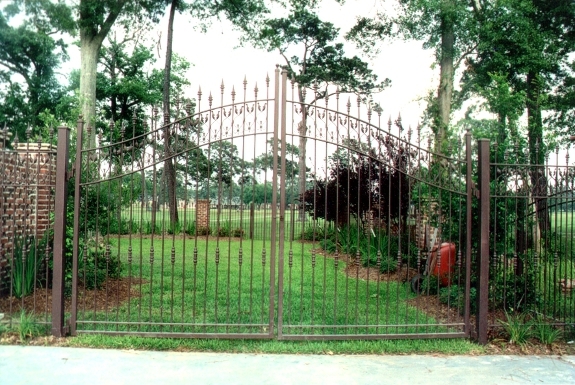 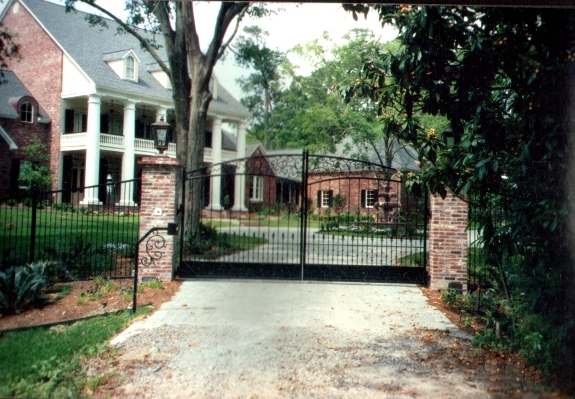 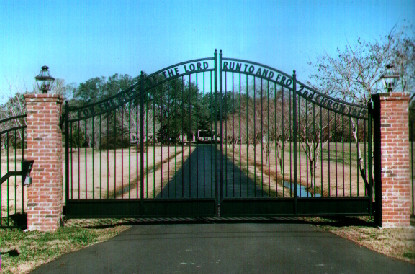 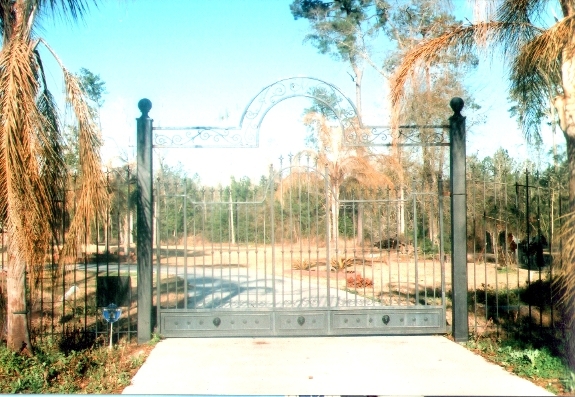 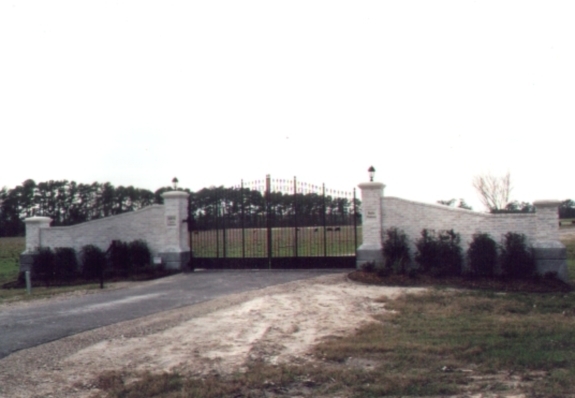 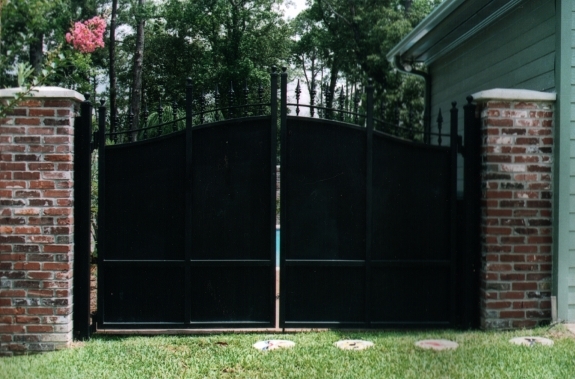 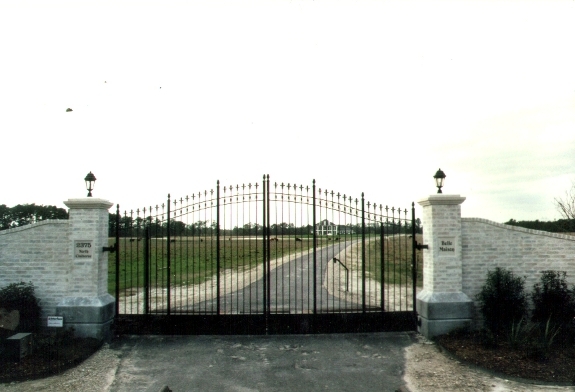 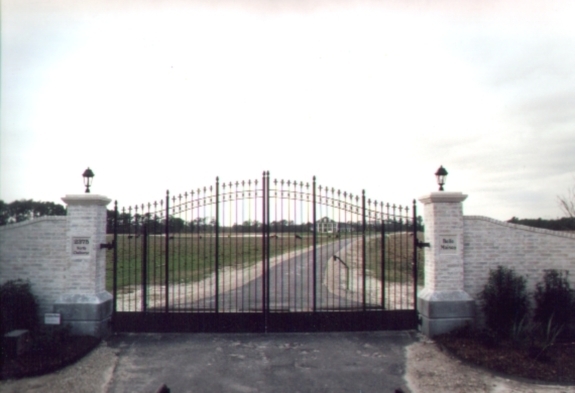 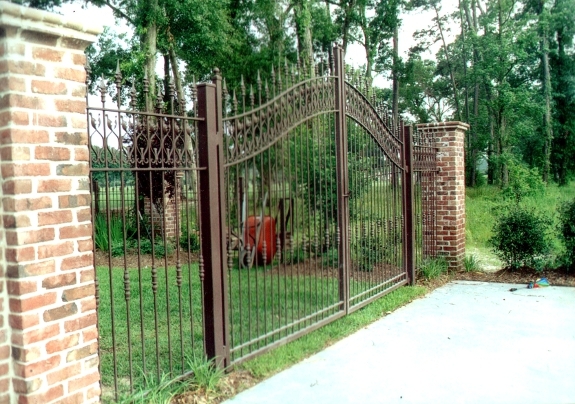 Justin Iron Works can add entry systems or repair your existing gates. 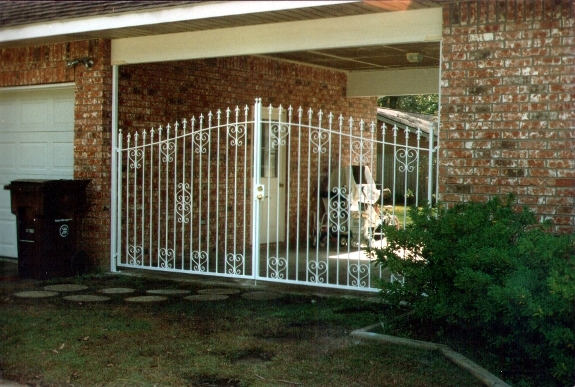 A rolling gate -- one that is say 10' or 12' wide and rolls along a parallel fence -- is totally supported by the hardware it rolls on. 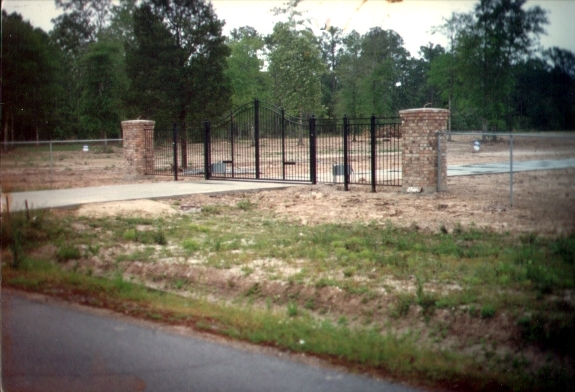 It is no load on the fence posts. 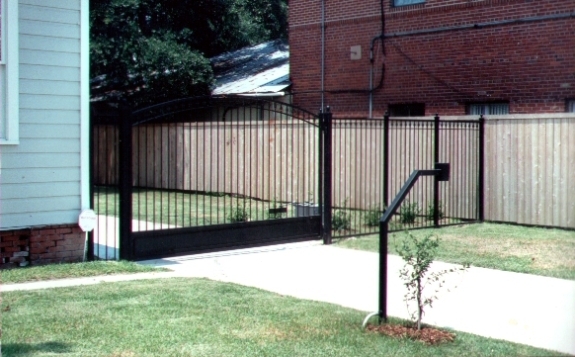 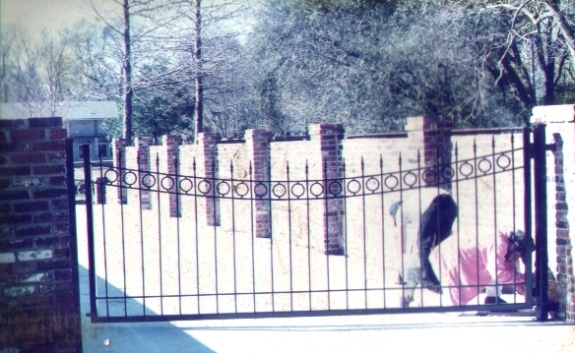 A swinging gate relies on the post to support it. 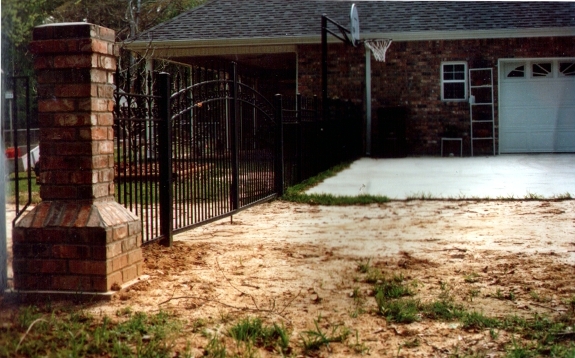 The post has to be substantial enough to bear the load. 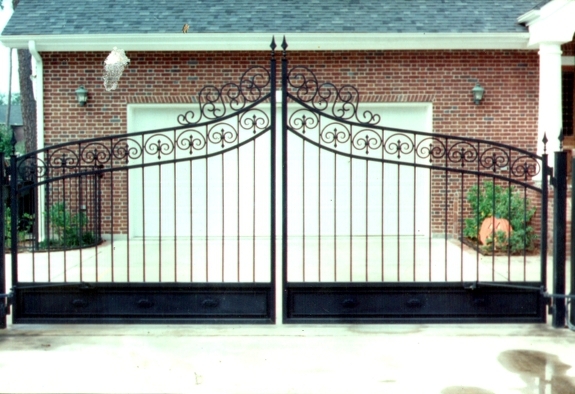 Part of that can be offset by putting a wheel under the opposite corner of the gate (from the post) to support some of the load. 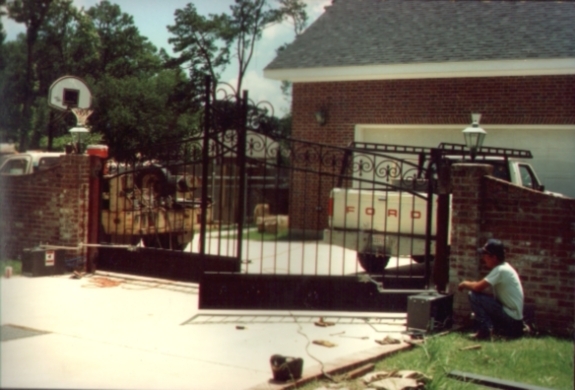 That usually works best if the gate is swung over a flat concrete slab, so that the wheel is always in contact with the slab. 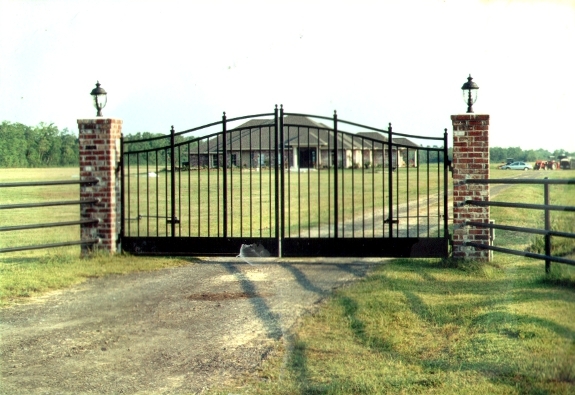 The hardware for a rolling gate is going to cost more, but the gate will usually last longer and require less maintenance. 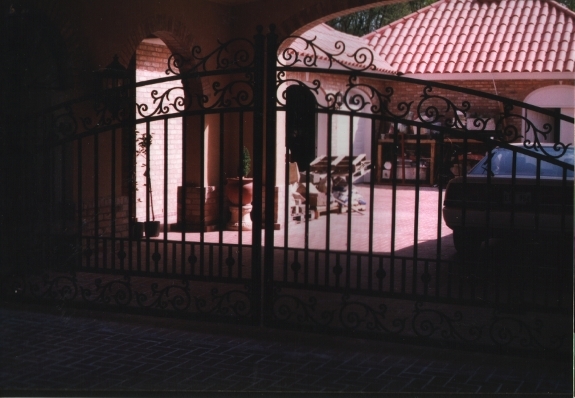 b) got a case of "shopping cart-itis" - that is, the wheel would have its own ideas as to which way it was gonna turn. 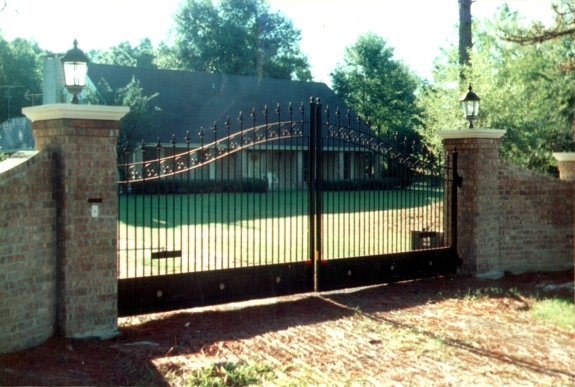 Copyright © 2010 Infinity Prime Media, LLC.